Razor bumps on the face, also known as pseudofolliculitis barbae, are caused by ingrown hairs; as hair grows, it curves back into the skin, causing inflammation and the appearance of the characteristic bump. Because this condition is often caused by curly facial hairs, it is most common in African American men. There are a number of ways to treat this dermatologic problem. Shave less often. The easiest way to get rid of razor bumps is to let your facial hair grow, suggests the American Osteopathic College of Dermatology. When the hairs get long enough they will stop growing into the skin, which will allow healing of the inflamed regions. Completely avoiding shaving for three to four weeks will stop the hairs from growing into the skin and allow the skin to heal. Remove the ingrown hairs. To do this, moisturize the skin with a warm, damp washcloth, and then use tweezers or a needle to pull out the ingrown hairs. This can be done to treat acute cases of razor bumps, particularly if you do not want to let your facial hair grow for several weeks. Apply ointments that will speed skin healing. You may benefit from using an 8 percent glycolic acid solution or an antibiotic cream, which will increase the rate at which the skin mends. Change your shaving routine. 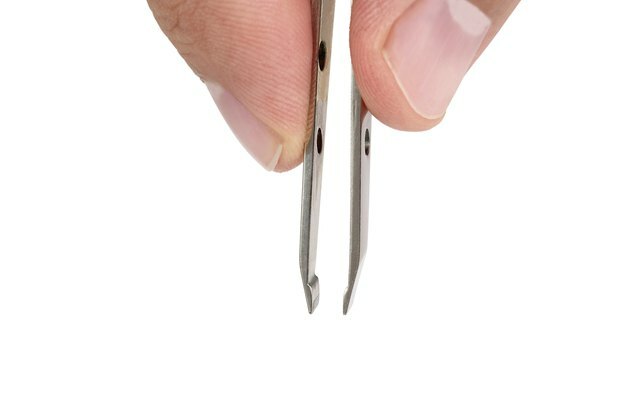 This can be done once the razor bumps have healed or as a way to gradually reduce their appearance. 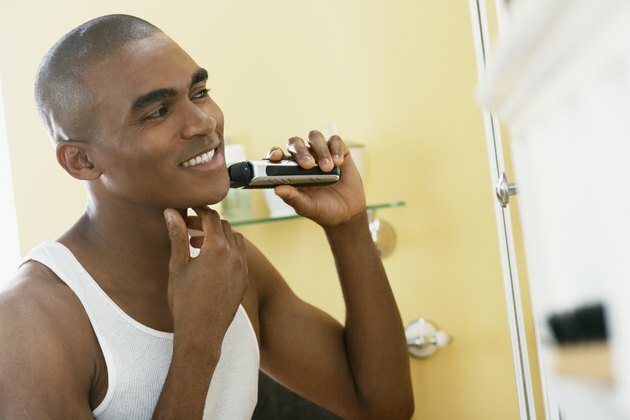 Using an electric razor is recommended because the razor does not cut as close to the skin, which helps keep facial hair from curling back into the skin. Alternately, prevent razor bumps by massaging your face with a warm, wet washcloth, which will help lift facial hairs up and keep them from curling back into the skin. 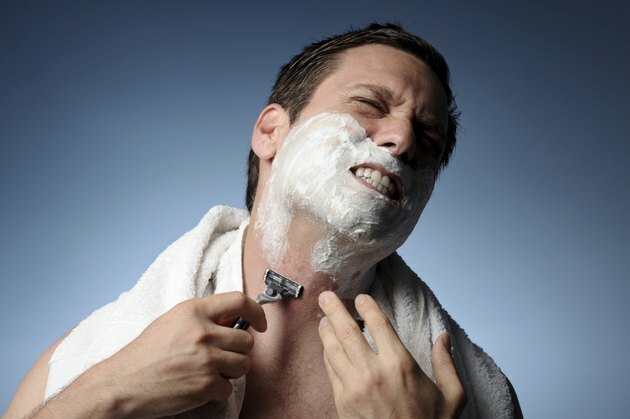 Shave with the grain of the beard -- the direction with which the hairs grow. Try chemical shaving solutions. These products dissolve hair instead of cutting it but should only be used once the initial razor bumps have healed, as they can irritate skin. Examples of these products include calcium thioglycolate and barium sulfide, which come in various strengths. Start with milder formulations and do not leave the product on for as long as the directions indicate until you determine how your skin will react to the chemicals. If home remedies don't relieve the condition, consult a dermatologist.